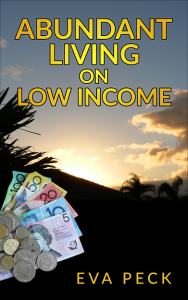 The purpose of this small book is to help those who would like to free themselves from financial worries and improve the quality of their life. “Abundant life” can be seen as far more than just material abundance, but rather including such intangibles as a purpose, sense of accomplishment, as well as happiness and contentment. Therefore, besides financial tips, the book also includes a section on success principles and a section on spiritual principles. The book is written from the heart and in layman’s language and is not intended as a comprehensive book on the ins and outs of finances, success, or matters of the spirit. Rather, it provides common-sense principles based on personal experience gained over decades. Specifically, it gives ideas on how to make your hard-earned money go further without sacrificing quality of life, how to sleep soundly without worrying about mounting debt, and how to live a more fulfilling life of accomplishment. It also brings out a few spiritual principles that can enrich life and make it more meaningful and abundant in terms of joy and happiness. Most of these ideas and principles have been personally applied by the author and found working. If put into practice, they can also help you to begin to free yourself from needless financial worries and raise your quality of life to a higher level. Even if you have a low income, you can learn to enjoy abundant life. You may find that there is more than material abundance that gives our earthly existence meaning and contentment. You may discover wonderful and precious intangibles, which far exceed the satisfaction gained from physical possessions. Available at Amazon and elsewhere. A print copy will be available soon. Feel free to pre-order at this link. If you live in Australia, you can get your copy significantly discounted directly from the publisher. Readers can also download a PDF copy at Abundant Living on Low Income-PDF or by clicking here.